Country’s Chatter readers have known for a long time that The Swon Brothers are one of our favorite country music duos. We’ve seen them on stage; we’ve listened to their music; we’ve written about them; we’ve talked about them; we’ve met them; we talked to them … and we just can’t get enough of these guys. So, you can imagine how excited we were to receive a press release telling us about their new EP, which will be released on Friday, March 17. Not only did the release tell us about the new EP, we got to hear it! “Pretty Cool Scars” has six songs, including their new single, “Don’t Call Me”. It’s a great song. When this song started, the first thing I thought of was – Cole Swindell. If you listen to any country radio stations who say “We play Today’s Country Music” – THIS is one of the songs they should be playing. “Don’t Call me” is the perfect mix of lyrics, melody, instrumentation, and vocals for today’s country music listener. The song is about making promises you know you aren’t going to keep; making plans that won’t happen – so, just Don’t Call Me. I think this is somewhere we’ve all been—figuring out how to you make a positive out of that kind of negative situation. It’s a good song. I’m anxious to see where this one goes when it hits radio. While the Swon Brothers are not ‘traditional country music’ artists (the kind of artist that will make you think of our country songs from 50 or 60 years ago), they certainly have this ‘today’s country sound’ figured out. And “About Last Night” is everything you might expect to hear on country radio right now. When I listened to this song, it barely finished before I hit that ‘replay’ button and listened again. I’m not ‘in the business’, so what do I know about what should or shouldn’t be released to radio as a single. But, I know I love this song. “About Last Night” will not only stay stuck in my head, I have a feeling it is going to stay stuck in my ears for quite a while, too. Because I’m going to keep playing it. That song (“About Last Night”) falls into the No. 5 spot on the track list, so I need to back up a little. The EP starts off with one called “Dwight Trashed”. This was one that I liked the idea behind the song more than I liked the song itself. I giggled a little when it talked about a quarter jukebox and four songs for a dollar – and, they sung about that kind of thing like it was from way back in time. For me, it wasn’t that long ago, really. It’s fun lyrics, and a fun song, a some great keyboard in this one! But, not my favorite on the EP. That’s okay, because I’m sure it’s going to be someone’s favorite. It really does has some clever, well thought out, fun lyrics. They really slow things down with “Take Off”. You will hear that one in the fourth spot on the EP. Liked it every bit as much as “About Last Night”. This is the one I’d refer to as ‘the pretty song’ on the album. It’s the one that makes you think. The one that makes you want to listen to the lyrics. the kind of song that makes you look for the story and you want to find out where it’s going. We did this in no particular order – but somehow I got to the last song. It is called “Gold”. I found myself paying more attention to the vocals in this one than anything else. It’s really good, with some longer vocal holds and runs. “Gold” turned out to be just one more thing to love about an already great EP. 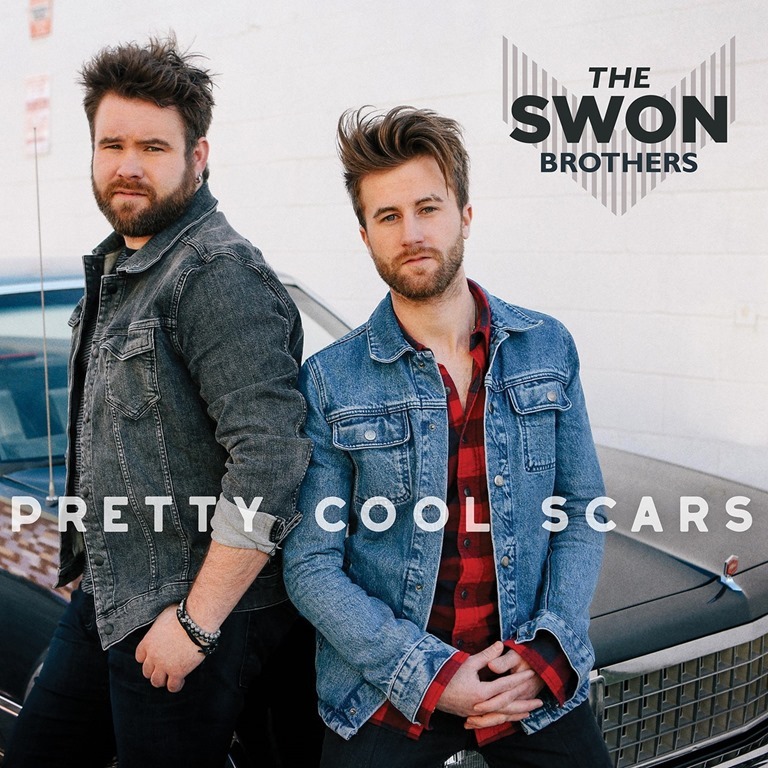 For everything else you need to know about the new EP “Pretty Cool Scars” from The Swon Brothers, check out the press release below. [Press Release] The Swon Brothers spent the better part of 2016 putting an indelible notch in their live performance belt. The sibling duo played their first show on January 30th in Jacksonville, FL on Carrie Underwood’s Storyteller Tour and ended their year in their hometown of Muskogee, OK to a SOLD-OUT house for a show to benefit their local Salvation Army post on December 16th. But somehow, in between those arduous hours on the road, the brothers found time to record their most authentic record to date, and one they are certainly proud of. “This is our first time to work with Brad, who produced records that garnered Grammy nominations and awards this year, and for good reason. He’s a very talented guy. He brought out sides of us that we didn’t even know were there, both musically and vocally. He actually brought this song to us also, he’s got a great ear,” says Zach. The brothers describe “Don’t Call Me” as a song about being in a bad situation but becoming stronger despite the circumstances. “We always like to try out songs in our live show before we make the decision to record them. We like to listen to our fans that way, and hands down, our fans gave us every indication that this was definitely a keeper. Me and my brother knew we had something golden when we just sat down and played it for the first time in the living room with just the two of us, and it just felt like it was written for us,” says, Zach. “Don’t Call Me” is one of six songs that appear on PRETTY COOL SCARS and Zach and Colton are excited to share this new music with their fans. 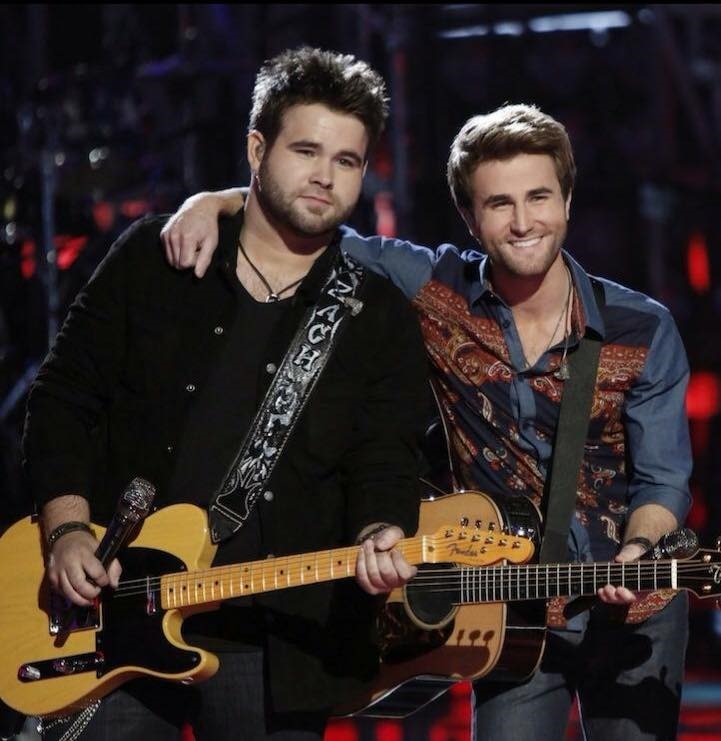 Zach and Colton have a new website coming soon, but while you are waiting for that – Visit their Facebook page, and follow them on Facebook @TheSwonBrothers. If you aren’t already following Country’s Chatter on Twitter, we’d love to have you. You will find us @countryschatter. Country Singer/Songwriter Brinn Black debuts single and music video for "Daddy’s Medicine"